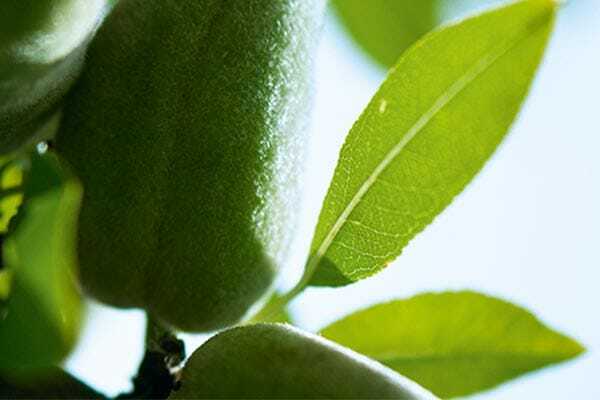 A fruit with a velvety-soft skin and a tender heart, the almond has the distinctive ability to become firmer with time. Regardless of the way it is transformed, the Almond unveils precious beauty secrets: a nourishing oil, a softening milk. Thanks to its deep roots and its leaves, from which very little moisture evaporates, the almond tree is highly resistant to drought. It is adapted to our region and gives excellent yields. L’OCCITANE developed an exclusive complex with almond proteins to firm and smooth the body. It contains almond proteins (smoothing), silicium (firming) and essential oils of immortelle, palmarosa and peppermint (invigorating). The stimulation of fat breakdown is multiplied by 7 (in vitro test).